The Belváros apartments are in Sopron’s medieval historic center and 20 minutes’ drive from Lake Neusiedl. 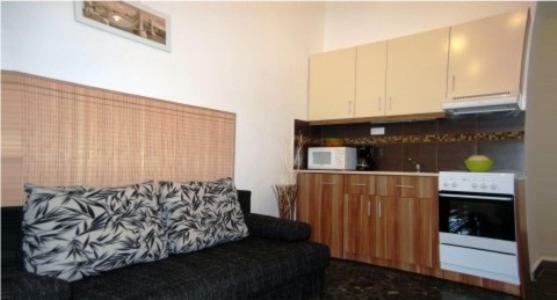 They offer free Wi-Fi, satellite TV and a fully fitted kitchen. The accommodations has a bathroom with shower. The kitchen is complete with microwave and fridge. 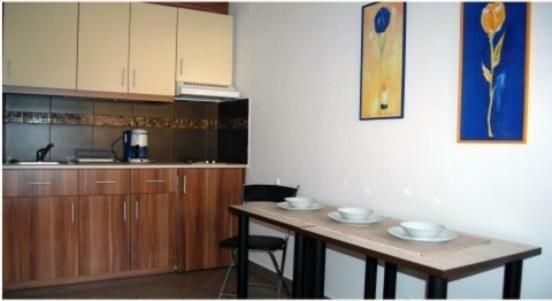 All apartments provide air conditioning for a surcharge. 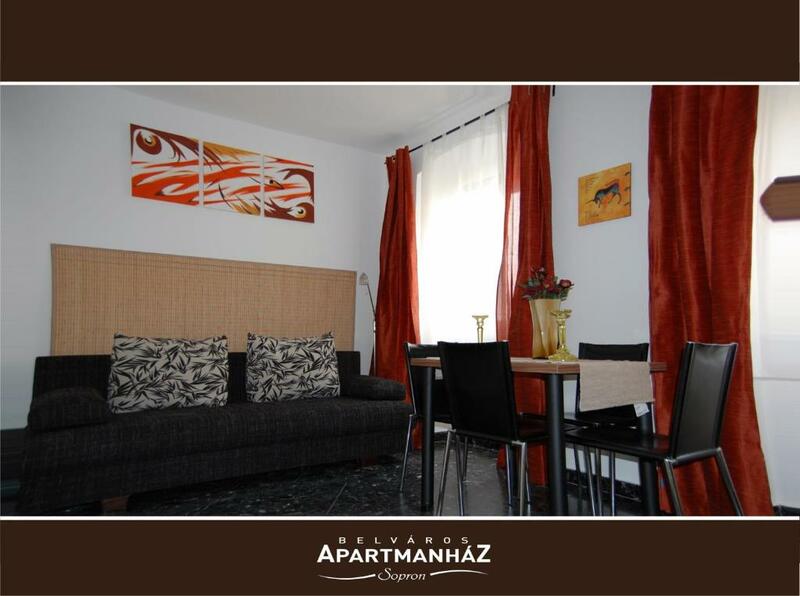 Belváros Apartmanház Sopron is surrounded by cafes, restaurants and shops. Sopron Train Station is 0.9 mi away. 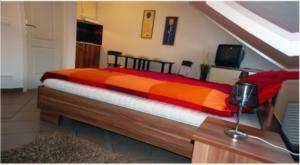 When would you like to stay at Belváros Apartmanház Sopron? Contains 1 bedroom with 1 double bed, 1 living room with sofa bed for 2 people, a fully-equipped kitchen and a bathroom with a shower. 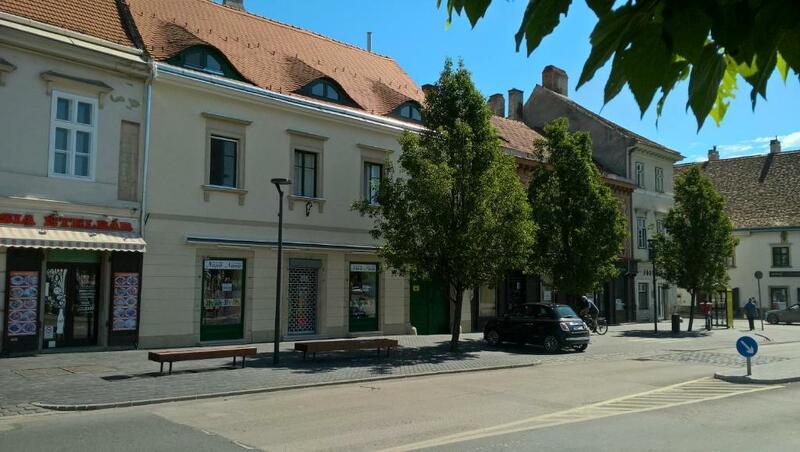 4 személyes apartmanok a Sopron belvárosában! A történelmi belváros csak 100m! Akár társaságok részére is, mivel az apartmanok 1 épületben helyezkednek el! Nyáron klíma, télen egyedi fűtés! Az apartmanház Sopron belvárosában helyezkedik el, minden látnivaló néhány perces sétával elérhető! 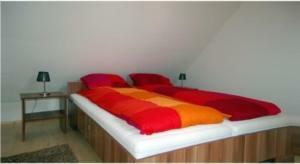 House Rules Belváros Apartmanház Sopron takes special requests – add in the next step! 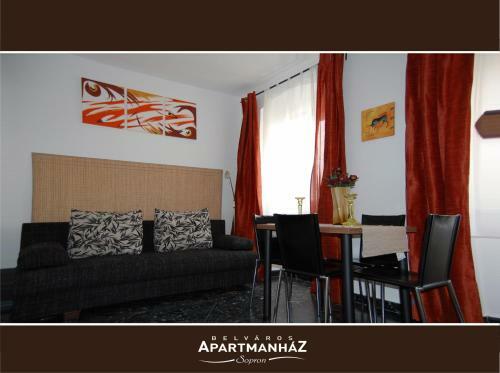 Belváros Apartmanház Sopron accepts these cards and reserves the right to temporarily hold an amount prior to arrival. Please note that this property has no reception desk. 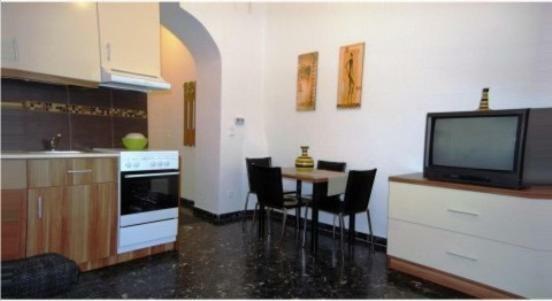 Guests are kindly requested to contact the property at least 30 minutes before arrival. Check-in is possible between 14:00 and 18:00. Contact information can be found on the booking confirmation. Please note that use of the air-conditioning is charged additionally. Please inform Belváros Apartmanház Sopron of your expected arrival time in advance. You can use the Special Requests box when booking, or contact the property directly using the contact details in your confirmation. We need at least 5 reviews before we can calculate a review score. If you book and review your stay, you can help Belváros Apartmanház Sopron meet this goal.